Canada Free Press reports that human rights organizations are not pleased with the UN’s decision to have Zimbabe’s infamous dictator be “co-president” of the United Nations World Tourism Organisation (UNWTO). The non-governmental human rights group UN Watch expressed “grave disappointment” at the UN decision to make Zimbabwe co-host of a global tourism summit, which opens tomorrow, saying it’s a “disgraceful show of support — and a terribly-timed award of false legitimacy — for a brutal, corrupt and authoritarian regime.” … “Amid reports of election-rigging and ongoing human rights abuses, Zimbabwe is the last country that should be legitimized by a UN summit of any kind,” said UN Watch executive director Hillel Neuer. 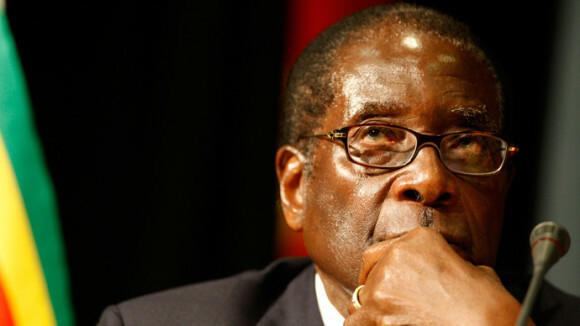 “The good name of the world body is being used to legitimize Mugabe’s massive abuses of civil liberties which contravene UN human rights conventions. How can someone who violates core UN principles be elevated as a kind of example to the world?” Neuer asked. Zimbabwe’s media claims that the Mugabe regime wants to use this an opportunity “rebrand” itself. Not only will that be hard to pull off, but it is difficult to imagine that tourists will be flocking to check out Zimbabwe. Why on earth would Mugabe be placed on any sort of tourism organization? The answers remain unknown.